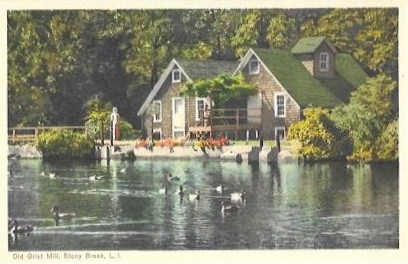 Old Grist Mill, Stony Brook, L.I. Made in Switzerland by Atelier Graphique H. Vontobel, Felmeilen. Imported Exclusively by Runca Import Company, Rutherfordton, N.C., U.S.A. Card number 1 in a series. Made in Switzerland by Atelier Graphique H. Vontobel, Felmeilen. 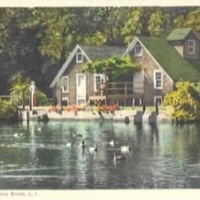 Imported Exclusively by Runca Import Company, Rutherfordton, N.C., U.S.A. Card number 1 in a series., “Old Grist Mill, Stony Brook, L.I.,” Hofstra University Library Special Collections: Digital Collections, accessed April 21, 2019, https://omeka.hofstra.edu/items/show/3095.